This is the worst pub I have ever been in. The place was filthy beyond environmental healths standards even, there were live wires poking out of the wall, the staff behind the bar were completely self absorbed and the regulars left a lot to be desired. 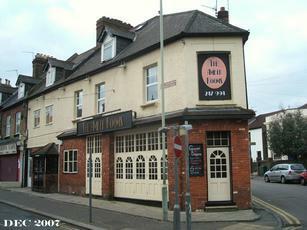 To venture off the normal watford path to this pub would be a feat anyway, trust me, this place is not worth it. It is a pit. Under new management, with a push for the House music scene now under way. I don�t know if it has slowly reverted to type in the two years since it re-opened but I called in recently and struggled to see much different to the old Mad George and before days. Putting some art for sale on the walls doesn�t really make much difference. Beer was OK but I don�t imagine they turn over too much. Prices seem to be based on what they want to be rather than what they are. I like the concept of this place but it just needs some tweaking here and there. I agree with an earlier poster, the staff need to be 100% customer driven - seeing bar staff chatting to their mates etc when you are waiting to be served is a golden NO-NO in anyones book. The range of beers is better than most and the menu, although limited, seemed to be diverse enough as did the food menu. But there's one problem that kind of troubles me... it's just a little bit too elitist for my liking. You get the sense that if you are not quite wearing something vaguely fashionable, you will look out of place here... and that's a shame as pubs should really be for all and sundry. That aside, a half decent half grown up bar that would probably do a little bit better if it wasnt out of the way so much, nevertheless well worth a visit. Can't moan really... it's an atmospheric improvement from it's predecessor I can assure you.